Dr. Anne Beyer finds cataract surgery particularly gratifying because it can restore sight. She’s also excited by research being conducted in the use of photopigments and UV light to treat corneal diseases. Dr. Beyer likes riding her bike, attempting the latest crafting craze, and hiking on trails with her great Dane and two Labradors. Dr. Kathleen Kersey’s particular interests include polytrauma and immune-mediated disease. Dr. Kersey enjoys traveling, hiking and spending time with her family. 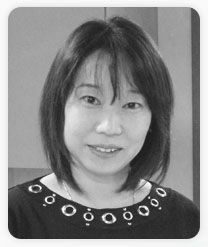 Dr. Juri Ota-Kuroki enjoys surgical procedures, particularly cataract and corneal surgeries. Dr. Ota-Kuroki is married to a veterinary pathologist. They have one son, a yellow lab, and two cats. She enjoys cooking and outdoor activities like jogging, biking, skiing and tennis. Dr. Rachel Sinnott worked in general practice for a number of years before becoming an emergency clinician, where she enjoys the variety of cases she sees. Dr. Sinnott enjoys running, swimming and attempting to keep up with her son. The family pets include Minnie, a border collie mix, and two cats, Leona and Indie. Dr. Amy Skarzynski is part of our emergency medicine training program for clinicians. Dr. Skarzynski likes to travel, hike, fish, boat and ride bikes. She enjoys playing soccer and watching Packers football and Blues hockey. Her Llasa Apso/Maltese mix, Ginger, is the love of her life. 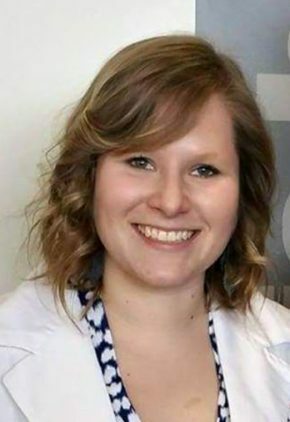 Dr. Rachel Weber’s clinical interests include polytrauma, immune-mediated disease, and diabetic ketoacidosis. Dr. Weber likes to ride horses, camp, hike, cook and canoe. She has two German shepherds, Shiloh and Yara, a mixed breed dog Atreyu, and two cats.